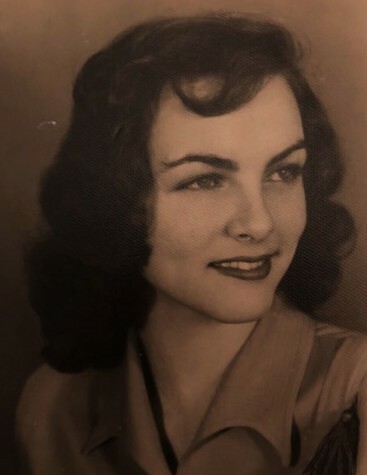 Obituary for Nina "Tiny" Irene Caldwell | Clark-Gashaw Mortuary, Inc.
Nina "Tiny" Caldwell, 88, of Osborne, KS, passed away on January 28, 2019 at the Smith County Hospital in Smith Center, KS. She was born on January 16, 1931 in Portis, KS. She was an only child. She graduated from high school and later married Marvin E. Caldwell. To this union 3 children were born. Tiny was a farm wife, and she and Marvin farmed in the Portis, KS area. After Marvin passed away, Tiny moved to Osborne and lived there the rest of her life. She was preceded in death by her husband, Marvin in 1996. 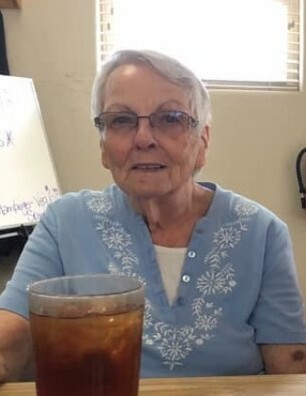 Tiny is survived by her sons: Rick Caldwell of Hillsboro, Oregon; Randy (Terry) Caldwell of Osborne, KS; daughter: Becky (Breck) Grabast of Osborne, KS; 5 grandchildren & 2 great-grandchildren.